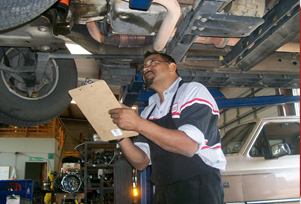 Our highly skilled technicians offer comprehensive knowledge and experience. 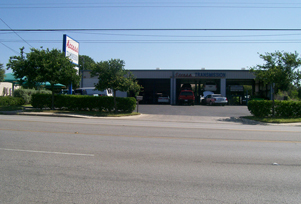 With over 43 years of FAMILY experience in the business, you can be sure that your car will be handled with CARE and the latest diagnostic equipment will be used in troubleshooting your vehicle. Also, we will never do any unauthorized repairs, everything that we do will be thoroughly explained to you before the repair order is given. We work on both Domestic and Import vehicles including Chevy, Ford, Chrysler, Toyota, Honda, Nissan, Lexus, Infiniti along with many others. For your convenience, we offer shuttle service to work or home if it is within 20 miles of our shop. Our goal is to provide the best service at the best rates with the least down time for you as possible. We provide a satisfaction guarantee for all services provided.